October 2018 saw Apple host an iPad Pro, Mac mini, and MacBook Air refresh event —but Bloomberg dropped an iffy China iCloud spy chip bombshell. 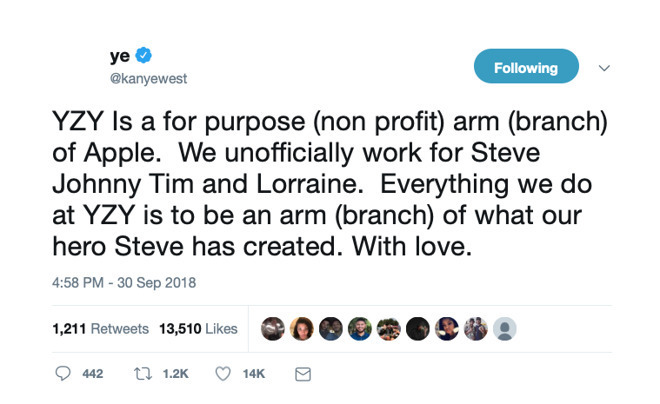 Plus, Kanye West elected himself as an unofficial Apple spokesman. All this and more, in Apple's October 2018 in review. September 2018 had what could have been Apple's biggest event of the year. 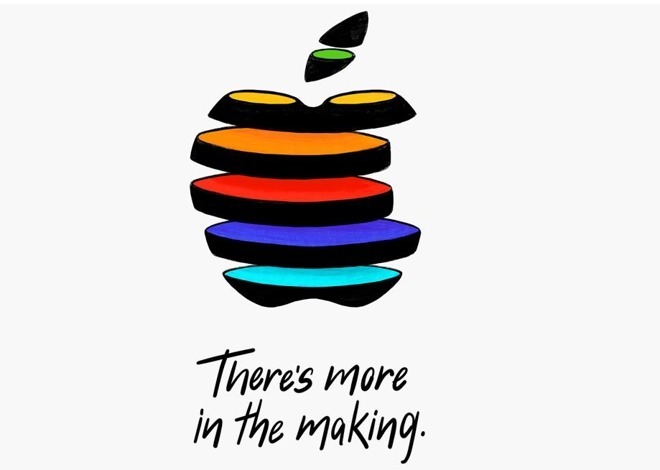 Yet you know now that Apple held a major event on October 30, although at the time, we all spent the greater part of the month wondering whether there would one at all. That did make a change from all the rumors about what would be in the next Apple launch, but it also led to speculation and wishful thinking. Just to quell some of that, AppleInsider ran the odds and detailed what we could expect to see based solely on hard evidence such as leaks from the supply chain. We avoided reading too much into the reports we had but it turns out that sometimes you can have a direct line to the source and still have no earthly idea what is going on. 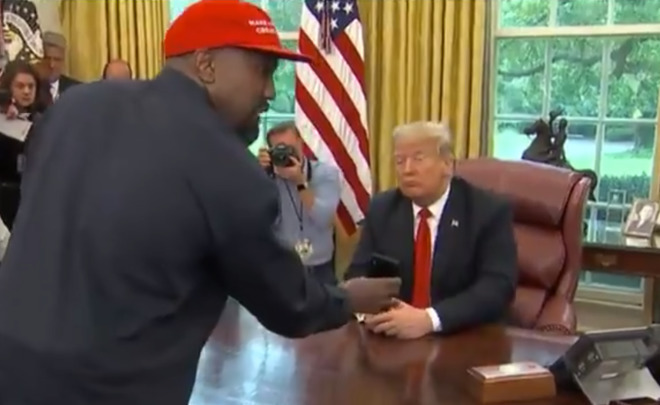 For at the start of October, singer and fashion designer Kanye West spontaneously elected himself as, er, spokesrapper for Apple. He announced for no reason that we anyone could fathom, that his clothing company YZY is owned by Apple. Apple didn't say "that's the first we've heard of it" but probably only because they were still trying to fathom out who Lorraine is. Our best guess is that he meant Laurene Powell Jobs, businesswoman and Steve Jobs' widow. That wasn't West's only Apple-related strangeness. A few days later, President Trump and West met in the oval office, and discussed "the flyest planes." Apparently it was something to do with West wanting to replace Air Force One with an aircraft designed by Apple. Details of the aircraft were sketchy, to be generous about it, but West was clear on the name. The new plane should be called "The iPlane 1". Apple didn't say "we'll get right on it." Instead, Apple at around this time was still living off the glow from its September product launches. 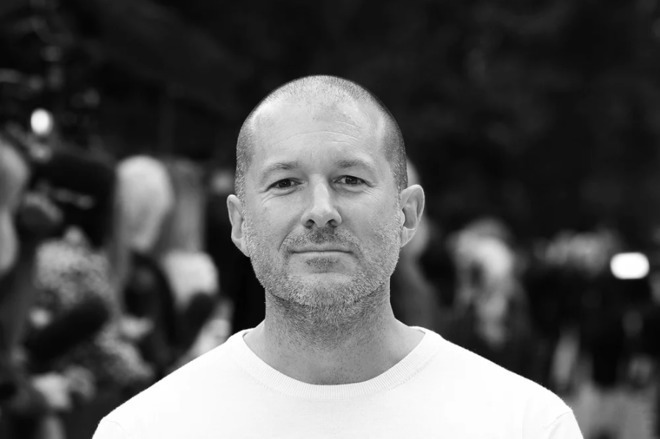 Jony Ive, in particular, was in demand and talking about how the move into the new Apple Park was going. "When you're moving 9,000 people," he said, "you don't do it in one day. We're [the design team] one of the last groups. It's a loaded and significant event because it meant leaving a studio that has decades of history, where we designed and built first prototypes. [That] is the studio I went back to on the day that Steve died. And it's the place where we figured out the iPhone and the iPad." The iPhone XR had been announced in September and it wasn't really until November that we'd be seeing reviews of it. Yet that sound you heard throughout this month was drumming fingers as people waited for the chance to pre-order it on October 19. And then waiting for the phones to actually arrive in stores and on doorstops on October 26. Together with the XS range and the Apple Watch Series 4, Apple had produced the best devices they ever have. However, this all seemed briefly soured in October because of a report by Bloomberg. We're reviewing the year so we do have some advantage of hindsight. Let us use it here. The Bloomberg report that there are Chinese spy chips installed inside servers at Apple, Amazon and others is baloney. Back in October, though, the publication was adamant and strident and only strangely quiet on the details. The broad strokes were that a microchip the size of a grain of rice was added to motherboards made by Supermicro. You've not heard of them before and neither had we, but Apple was once looking at buying many servers from them. Reportedly it did buy at least a few. Also reportedly, though, Apple discovered unusual network activity caused by these rice-sized chips. It allegedly then pulled the servers and informed the FBI. Except Apple says it didn't. It didn't inform the FBI because there was nothing to inform them about, because there had been no such unusual network activity. Bloomberg effectively then said "did too" and folded its arms and has been quiet about it ever since. Apple went public refuting the claims and managing to not sound weary about how it had said that it had been refuting them privately to Bloomberg for a year. 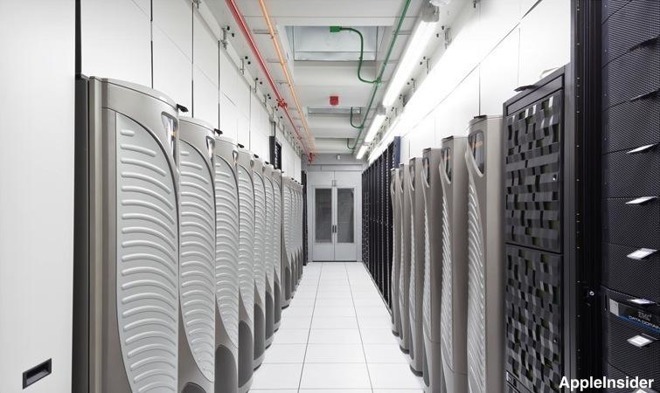 Of course Apple would deny that its security had been breached. And of course Bloomberg stands by its story, of course it protects its sources. To this day, we're ready to hear Bloomberg proving it. Any of it. The National Security Agency would like the same. "What I can't find are any ties to the claims in the article," NSA Senior Advisor Rob Joyce said. He even added: "We're befuddled." Remember that the Bloomberg story names Apple, Amazon and other firms as being affected. All of them say the report is nonsense. Next, the Department of Homeland Security issued a statement saying: "Like our partners in the UK, the National Cyber Security Center, at this time we have no reason to doubt the statements from the companies named in the story. Let's add in the US Director of National Intelligence, Dan Coats, as he said "We've seen no evidence of that". And then just one more. You've already read part of what Apple said but after a couple of weeks of Bloomberg emptily insisting it was correct, this happened. "It is 100 percent a lie. There is no truth to it," said Tim Cook on CNN. "There's no malicious chip." There's an unspoken rule that business people and politicians don't call anyone liars. It's why we have meek words like "falsehoods", "disputed facts" and even "fake news". Yet here was Tim Cook going for it. The CEO of Apple called out Bloomberg for lying. It's not as if the man has been shy before but, well, he has. Where Steve Jobs was always the more flashy leader, Cook was the one who got on with things. Now he's leading a company that at times defies the FBI and which is now calling out inaccurate reporting as lies. Toward the end of October, we saw this strident, impassioned and even angry Cook again as he spoke at an international conference on data privacy. It was a keynote speech and not the sort we're used to. Instead of happy news about sales or "magical" Apple devices, here he was calling for the world to wake up to security dangers. "Our own information is being weaponized against us with military efficiency," he said. "The crisis is real. It is not imagined. Or exaggerated. Or crazy." He was impressive and persuasive. So much so that it seems a little bad to admit that the fact he was delivering this keynote in Brussels on October 24 made us wonder if it meant there couldn't be time for an Apple event this month. There nearly wasn't. Apple did hold another launch event but it could barely have been any later as it was on October 30. It could barely have been any different from Cook's Brussels speech or even Apple's own September event, either. Headlined "There's more in the making", this event was held in New York and felt it like it was imbued with some of that city's energy. Taking place in the Brooklyn Academy of Music, it seemed to shed Apple's usual quite languid pace in favor of pushing through item after item. Or rather, trying to. Most announcements were met with such roaring approval from the audience that the presenters had to keep pausing before they could be heard again. It got so Tim Cook went off script and proclaimed to the crowd that "I am moving to New York." What got them excited was, well, everything. It began, though, with what can only be described as the return of the prodigal Mac mini. More than four years since Apple even glanced at the Mac mini, it was back in both the same and a new form. The casing is the same size as before but the color is space gray and the innards are impressive. Oh, and the price has gone up. What was originally Apple's entry-priced Mac is now still Apple's entry-priced Mac, but the price is a lot higher. Instead of the original $499, the new Mac mini starts at $799 —and it's totally worth it. That original model was aimed at switchers, encouraging people to move from PCs to Macs and maybe it did its job, but it did more. The Mac mini has been adopted as much for its small size as for its price. You could carry it around, you could definitely include it in your luggage. 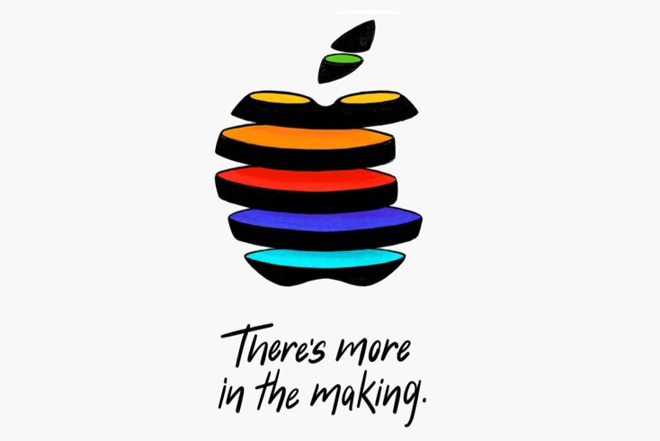 And for the longest time now there have been companies whose entire business is in buying and using thousands of Mac minis they rent out to customers. The little Mac that could, did. It's just that it became much more of a professional tool than it was originally planned for and this revision is in response to that. If the Mac mini got cheers, what came next at the October 30 event got an ovation. The MacBook Air is another machine that Apple has rather ignored in years and it's another Mac that has a passionate following. It's the Mac that Steve Jobs pulled out of an inter-office envelope back in 2010 and nobody's ever forgotten that stunt. Even though the MacBook Air he revealed at the time was underpowered and even though Apple has since produced even slimmer notebooks. Like the Mac mini, you could still buy the old MacBook Air before this refresh —though unlike the mini, you can buy the old one even now —but the new one improved everything and raised the price. The most visible and without question the most desired part of the update was that this machine now has a Retina display. Apple's entire range of notebooks now has these screens and if you ever saw an old MacBook Air in an Apple Store, you saw the difference. It also added a larger trackpad, it changed all the ports to Thunderbolt 3, and it even added Touch ID. This had previously only been in certain models of the much more expensive MacBook Pro. Not that the new MacBook air retained its predecessor's crown as the cheapest Apple laptop. The new machine started at $1,199 or $200 more than the previous model. This event began with the Mac mini and it continued with the MacBook Air, so there was no question in anyone's mind that next up would be a revision to the iMac. Except it wasn't. Despite several strong rumors and, to be fair, a few tightly crossed fingers, there was no new iMac and instead Tim Cook went on to the iPad. Just as you can argue that the Apple Watch Series 4 stole the show in September, the iPad Pro models definitely walked away with the October one. As popular as the Mac mini and MacBook Air refreshes were, the iPad came with radical improvements both inside and out. It was the case of the missing bezels. On both the old 10.5-inch and 12.9-inch iPad Pro devices, Apple removed the bezels —but did so with different effect. The smaller iPad Pro retained its original case size and Apple increased the display. The same or very nearly the same casing now holds an 11-inch screen. For the larger iPad Pro, Apple did the opposite. They retained the original 12.9-inch display but they shrunk the casing around it. It's as if they squeezed and the result is that the same gorgeously huge screen is suddenly much easier and handier to carry. Both models have practically edge to edge displays and that means they've adopted the iPhone X design in that there's no Home button. That button is gone, Face ID has been added, and all the new swipe gestures you learned on the iPhone X range are now needed here. The casing is also reminiscent of the iPhone but not the X. It's more like the old iPhone 4 or 5 design where instead of tapered edges, it has mostly flat sides. They're just still very thin. They're also very powerful. Both size models run on Apple's A12 Bionic chip and they both come with up to 1TB of storage. And they both come without a Lightning port. Instead, the new iPad Pros are charged over a USB-C connector and Apple talked about how this gave professional users more options. You can use a USB-C cable coming out of your iPad to charge up your iPhone, for instance. And you can run external monitors up to 5K directly from the iPad. That one is more of a stretch as the truth is that you can run some such monitors. It's complicated. Face ID is not quite the same as on the iPhone —it's better. As superb as it is being able to pick up your phone and unlock it with a glance, you have to hold the phone vertically. Even on the latest iPhone XS and XS Max released just weeks before, you can't unlock the phone from any angle. Whereas you can now with the new iPad Pro models. You can also magnetically snap an Apple Pencil to the side of them so that you never lose it. Unfortunately you might as well lose your original Apple Pencil as you have to have the new, updated, redesigned, improved one to work with these iPad Pros at all. We've no problem with a new Pencil coming out and needing new technology that is only present in the new iPad Pros. And it seems unfortunate but inevitable that the new Pencil won't work with the old iPads. However, we wish you could use the old Pencil with the new iPad Pros. That's chiefly because right now both Pencil models remain on sale and it just seems un-Apple like that you have to check the specifications in case you buy the wrong one. There was also a new Smart Keyboard from Apple which looks nicer than the old one but isn't electrifying enough to make us regard its price as a bargain. The keyboard costs $179 or $199 depending on the size of iPad Pro you buy. Speaking of which, the new 11-inch iPad Pro started at $799 and the 12.9-inch one begins at $999. It would be good to end October's review with the observation that through this event and September's, we've seen much of what Apple makes be revised and revamped. Also re-priced. That doesn't include MacBooks other than the Air but that new model changes Apple's laptop range. It didn't include the iMac and we're still upset about that. It doesn't include the Mac Pro but we knew that wasn't coming until 2019. And it doesn't include the AirPower charging mat but we've long assumed that's never coming. Otherwise, though, this was a remarkable two months for Apple and right now it seemed that every product was well done. Many of them were made from 100 percent recycled aluminium too, so just in every way the news from Apple was good. Except that there was just one more problem for Apple this month. A number of iCloud users in China were successfully attacked by phishing attacks . We don't know how many people were affected nor how much money they may have lost through criminals using their details to make fraudulent App Store purchases. And yet we do know that this needn't have happened. Even Apple said so. It published a note to users saying "We are deeply apologetic" but it pointed out that it always recommended using two-factor authentication. We also know this, though. It happened in China. Back in February, Apple had been required to transfer personal data to a company based in the region. Then in July we had the issue of the company involved moving the data on to a state-owned firm. Apple can make the greatest hardware in the world but that world needs to tighten security and not have anyone's personal detail under any kind of government aegis. Read the next part of AppleInsider's 2018 review. It was looking like investors just weren't getting as into the Christmas spirit as Apple is with its new holiday ads. And maybe Apple is looking for cheer in all the wrong places as Microsoft supplants it as the most valuable company in the world. Looking back at Apple's November 2018.